With mobile and cloud going hand in hand, there always, is a need for a mobile application testing tool which acts as a cloud service and helps distribute applications for testing. 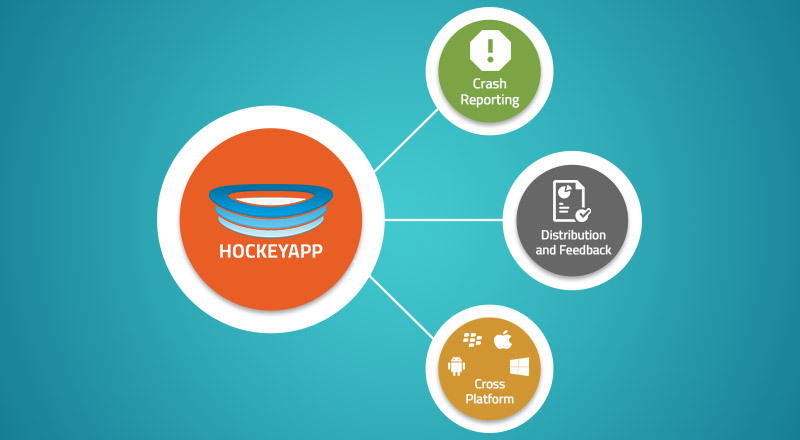 And here is one: Microsoft’s HockeyApp – the leading service for mobile crash analysis and app distribution for developers who are developing apps on various technologies like iOS, Android and Windows Phone. Originally based in Stuttgart, Germany, HockeyApp provides a variety of mobile application development services which let the developers do the development, distribution and testing of apps. It is a great service. Suppose you want to test your app but are not sure about how to do it. HockeyApp makes you upload your app on its platform that so that it can be tested and then offers a large number of services for your app. Crash reports, live reporting, bug reporting – it has it all. It is being compared to Test flight and yes, they are similar, but this one is also for Android and OS X apps. Microsoft has now come up with Microsoft Application Insights which has HockeyApp as an independent and integrated service which helps to find out the number of times users start and execute the app and the types of environments it runs it. With full access to distribution along with transparency of who is accessing which app, HockeyApp lets you do the building and uploading of apps from where testers can download and test them. In short, it acts as a individual app store for testing. With this tool, you have the privilege of providing your suggestions and feedback for any type of improvement or enhancement that can be done while Mobile Application Testing. End users can create a support request or discuss their views from the app itself. HockeyApp supports all major platforms like iOS, Android, Windows Phone, OS X and Windows to deliver a satisfying and swift user experience amongst all types of mobile devices. Why HockeyApp Shines out from the rest? Easy integration – create tickets for crash groups in bug tracking tool like JIRA, GitHub etc.